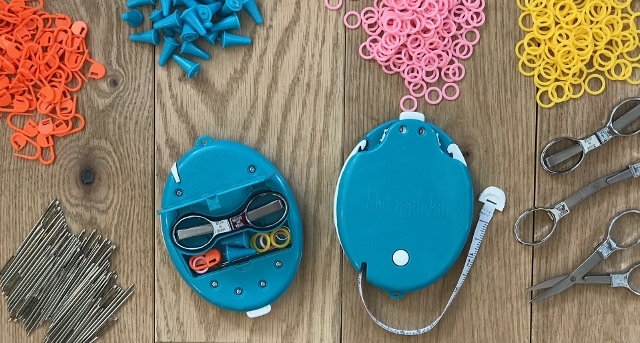 Denise 2Go for knitting are handy travel kits of for knitters on the go. Portable, Pretty and Petite. 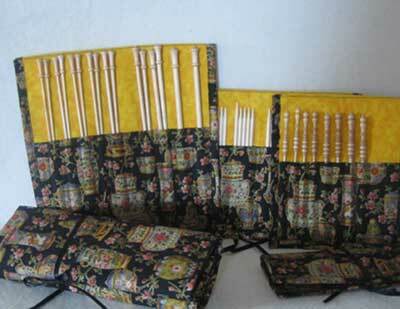 You will have 6 pair of knitting needles- sizes 5 thru 10. 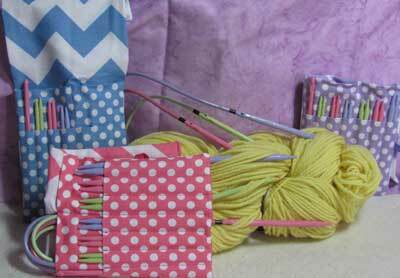 One crochet hook, 3 cords, 2 buttons ends and one extender. All neatly arranged in a case the fits in the palm of your hand. 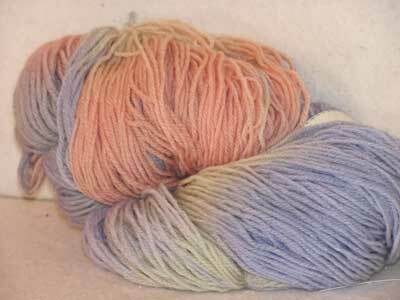 Colors : 2 Pink, 2 Blue, 2 Lavender.